in Only 2 Hours A Week. You want the habits of regeneration, not degeneration. You want to live well nourished and nurtured. You want to live well rested. You want to make better food faster. You want to experience ease, flow and thrive. You want to be with people who are actively evolving. your body & your life. 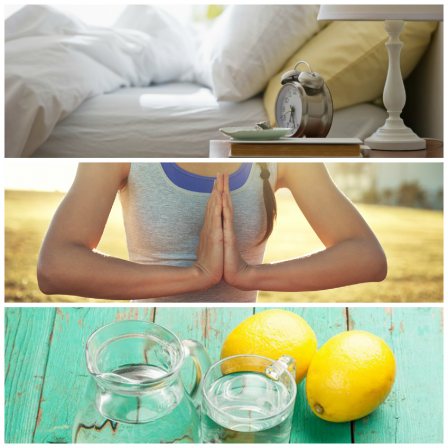 Wake Up Every Morning Energized, Lithe, and Aligned to the Habits that Evolve Your Life. Want to have the habits that regenerate your life force? Wish you had an Ayurvedic Practitioner and Yoga Health Coach with you at all times so you could get the guidance, inspiration, and coaching whenever you need it most? Well, Cate's dynamic global group coaching – Body Thrive Annual Pass – is a remarkable, innovative solution. She is a Master Coach in Ayurveda + Habit Evolution. You’ll receive LIVE coaching with Cate in your Body Thrive Group, and have access to additional 1-1 support with our Body Thrive, Coaches. You'll have access to her dynamic group experience. You can choose to have an accountability partner within her powerful community. You'll get Cate's guidance both live through coaching and in-depth video instruction where she teaches you not just how to evolve your habits in real time, but also a year's worth of Ayurvedic wisdom, training and coaching with Cate. You'll also be able to share the experience with those you live with, so your habits evolve together! This is a unique life-changing experience. Now you can study with Cate and evolve your life from anywhere on the planet. We use a video conferencing classroom which creates in in-real-life feeling without having to travel for hours to study and be coached by a master. Plus, during this 12-month evolutionary experience, we’ll teach you how to make automatic in your life the habits of yogis, which unlock your access into radiant longevity, where you are rooted in your radiance every day! Body Thrive is a body investment for life. To reward those who invest up front, you receive a sizable discount when you pay your tuition in 1 payment. Two Payments of $1900, spread out. May 2 Group will Sell Out! In leading you into thrive with weekly Ayurvedic habit evolution coaching, Cate is joined by her Certified Body Thrive Coaches. Part of our Dynamic Group methodology is you getting access to live coaching whenever you need it. We have a world class system of support for our Body Thrive Members. When you become a member, you unlock this world class system of support to guide and nurture your personal evolution. Cate set the gold standard for Ayurvedic habits coaching by founding the Worldwide Association of Yoga Health Coaches in 2012. In this course you not only get access to the coaches she has personally trained... you get to be in Cate's personal Body Thrive group as a member! We offer the #1 Ayurvedic Habits Evolution Course in the world. Cate Stillman is innovating the study, the experience and the future of Ayurveda with her groundbreaking curriculum - due to the efficacy of her coaching method. Combining Ayurvedic and Yogic Wisdom with Evolutionary Enlightenment practices with Online Dynamic Groups Methods. You’ll be guided through a proven habit evolution system by Cate who has taught THOUSANDS of people, since 2001, how to a better, smarter version of themselves through living the daily wisdom of Ayurveda. Cate knows exactly how to coach you to make the small evolutions you need to make to have a breakthrough into thriving in the fastest way possible. You’ve got a lot going on. You want to be better rested. You want to be more fit, lithe and strong. You want to nourish yourself deeply. You want to wake up light, energized, inspired. You want a better flow and more free time in your day. You want clarity of mind. You want to live your life feeling rooted and radiant. Do you have the feeling that there is a deeply human, yet deeply spiritual experience that you may be missing out on? Are you a bit in the whirlwind of daily life, and not able to steer exactly to who you want to be, or where you want to go, or how you want your body to feel? "Body Thrive will change your body, mind and consciousness so your life can become more whole." When you get coached by Cate and the Body Thrive Coaches, it becomes simple, and actually quite effortless, to awaken a better daily rhythm. Cate calls it "Falling into Balance". You’ll learn to optimize your day and night to have predictable crystal clear focus balanced by deep rejuvenation You'll upgrade your home and office to be sanctuaries for your soul. You'll never wonder how to redesign a part of your life into better alignment again. You'll have Cate and the team guide you into habit mastery which you'll use for life- well beyond your body habits! Do you ever feel like you're missing out on the experience of relaxed, aligned easeful living in your day to day? 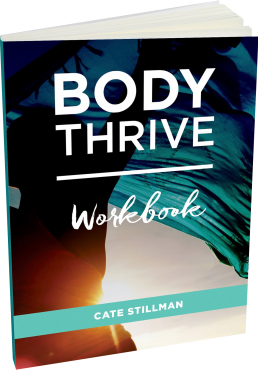 You will integrate the 10 Body Thrive habits to unlock the easeful living - no matter how out of whack you enter Cate's group. How to Use the Body Thrive Habits to Decrease Inflammation, Chronic Digestive Issues, and Anxiety or Depression. Cate takes responsibility in guiding people into thrive. She has guided hundreds of members over time out of long-standing, deep seated issues that seemed impossible to uproot. Wouldn't it be lovely to feel better in your body, and attuned to your soul everyday? YOU ARE HERE BECAUSE YOU’RE READY FOR A SHIFT. 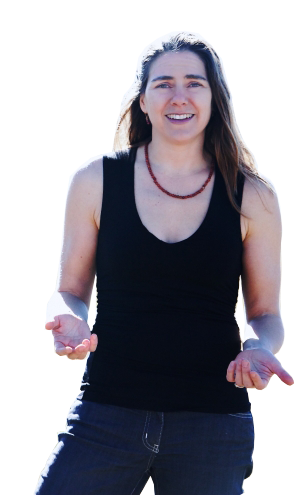 Cate is an innovative leader in the field of Ayurveda, Yoga and Evolutionary Groups. She is author of Body Thrive, and soon to be released in 2019: Master of You. Her life's work has been guiding members from around the planet through her intimate online programs. Her experience over almost two decades of innovating curriculum to solve modern daily problems had grown her into a master coach. Cate served as an Ayurvedic Practitioner and Anusara Yoga Instructor for years before becoming known around the globe for her Online Ayurveda Courses and World Class Member Community. Since creating Yogahealer in 2001, Cate has helped thousands of people thrive in their health, their families, and their communities. Cate has trained over 100 Yoga Health Coaches to use her Body Thrive method. These coaches are helping Cate further her mission of spreading personal and planetary thrive. The success and efficacy of the Body Thrive method is the result of Cate’s innovative, modern approach to Ayurveda. She has created a more effective path that consistently guides members toward their desired health breakthrough and wellness goals. Scheduling an appointment with a health coach or Ayurvedic practitioner every time you want guidance, inspiration or support can be an obstacle to getting the kind of ongoing nurturance you need to make real changes, week after week. It would be so much easier to take an online course - but you wouldn't get live support right? Well, not the case with Cate's Body Thrive Group. You'll be able to talk to a coach live every week and be with Cate's group live at least every other week. If you'd rather simply listen after the live recording - on your own schedule - they are available within 24 hours. What differentiate's Cate's Body Thrive Group is the level of ongoing access to her and to the live coaches. And... as you fall in love with your body and your life, this may be the first step towards helping other people thrive. CATE INVITES YOU TO COMMIT TO YOUR BODY, TO COMMIT TO THE PROCESS AND WITNESS YOUR OWN RAPID EVOLUTION. You don’t need to have read Cate's Book, Body Thrive, to be a member in this year-long course. In fact, you don’t even need to be a Yoga Student or a healthy eater or a regular exerciser. The beauty of Cate's Body Thrive group is that she is a Master Coach and an Ayurvedic Practitioner with a strong teaching background in Yoga and yoga philosophy. New members range from people suffering from chronic diseases including autoimmune disease, obesity, depression, anxiety, chronic pain, heart disease, and cancer.... to people who are already very healthy and looking for the next edge in their peak performance and deep rejuvenation. Part of the power of this program is it's all levels approach. You'll learn on every live coaching session from both Cate, the other Coaches... and also from the other Members. You'll witness breakthroughs in all the other members - as unbelievable as that may seem. That is how effective Cate's Body Thrive group is. Your knowledge will deepen into true living wisdom. And if you’re already experienced as a Wellness Pro or Yoga Teacher, this course will elevate your skills alongside bolstering your own personal integrity with your wellness wisdom. As you deepen your integrity and gain deeper insight into Ayurveda, you'll see why Wellness Pros from around the world, from many backgrounds, choose to study with Cate Stillman. Part of our dynamics group method is having access to experienced Yoga Health Coaches. Our coaches live the Body Thrive habits, and lead groups of their own. They also assist Cate's Body Thrive groups by giving additional weekly access to live coaching. Neve and Tania are in this role as Body Thrive Team Leaders due to their approachability. Both are moms and know the hard parts about evolving at home, with kids, in a relationship. You'll find them not just wise and compassionate, but also fun and insightful, and able to open the doors for you to experience the evolutionary dynamic of our dynamic group. You'll be nourishing yourself on the next level, in less time, and will save money. Other programs talk about having a global community - but they don't walk their talk. Body Thrive members often meet their future best friends and colleagues in the course. How to Optimize Your Workouts for Vata, Pitta and Kapha and Your Season of Life. You'll be practicing the art of enlightenment - which includes the habits of Sitting In Silence and Easeful Living, with Access to our Private Library of Ancient and Innovative Meditations! Cate's custom build print-ables for you to share with your friends and family to live the habits of Ayurveda. Weekly Ayurvedic webinars where Cate teaches you the art of self-healing, and watch and share with your family and friends. Download the 10 habits of Body Thrive. When you become a member of Cate's Body Thrive course and community, you sign up for a better daily rhythm, more restful sleep, abundant energy and deep self empowerment. However, that doesn't mean you can't back out. We give you a full 15 days from the start of your Orientation to determine if Cate's group is right for you. 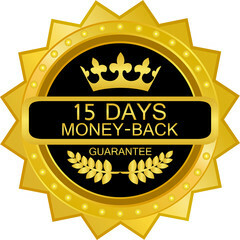 We’ll give you a complete refund and even let you keep any materials you have received in case you want to start again with us in the future. "Body Thrive has aligned my body and mind. Didn't realize I was living so separately until I devoted the time to honor myself from the cellular level. Really loving my body and appreciating it's very subtle wisdom - All of this has been sort of a "cellular re-birthing" if you will. Seeing very clearly now my authentic self and summoning the strength, integrity and fortitude to be that." "Before Body Thrive my body was dry, tired and out of nature's rhythm. I stayed up too late and slept too late. After Body Thrive my body knows it's time for bed when the sun goes down and wakes when the sun rises. I feel alive!!! I batch task and my digestive system loves a more easeful way to nourish my body. It's simple, yet effective. I believe everybody should Thrive!!" "After only 2 weeks of Body Thrive my body feels stronger, less inflamed, and I have more energy. In short I my body is thriving! I am super excited about the weeks to come." "After Body Thrive, I have more energy, a more loving, kind relationship with myself, a cleaner diet, self integrity and a community of peeps who are heading down the same path. It's amazing! I'm my 2nd quarter of Body Thrive right I could feel the process deeper to fine tune my daily rhythms. So grateful for this tribe." "Living the 10 habits not only changed my life dramatically at the get go, there is a non-stop continuous evolution occurring. I am becoming a new person every day- Creating the me I want to be and the life I want to live!" "Having access to people that are as committed to personal growth as I am has been hugely helpful & so very encouraging for me. Fine tuning lifestyle - schedule, hydrating & eating habits, self-care practices... it is all paying off in amazing ways. I've had significant breakthroughs with my asana practice. AND the dried-up old woman stuff - HALLELUJAH!! - that's fading wonderfully." "I've reached the end of my maternity leave, and started back to work today. I can say with 100% certainty that without the habits today would have been a disaster. And it is with so much joy that instead I've come to the end of this day completely content, and at ease with this new chapter. I engineered my day to include ample time for my responsibilities, my family, and myself. And as I close my eyes, the smile remains on my face. This mama is proud and so so full of gratitude! Thanks Cate for showing me how to be amazing!" "Before Body Thrive, my life was filled with the "do's and don'ts" of living a healthy lifestyle which is always changing based on the current research, studies or fads. After integrating Body Thrive's 10 habits into my life, I let those "do's & don'ts" go for good. I now feel the most tuned-in to my body than I ever have before. I'm also watching my clients evolve into healthier individuals with the same confidence and ease as they tune-in to their bodies too!" "Body Thrive taught me how to eat right for my body, and I lost 10 in the first quarter without even trying :)"
Get a FREE Session to see if Body Thrive is RIGHT FOR YOU. For a limited time, you can get a free 30-minute Personal Wellness Session with one of our Yogahealer Coaches. During the session - either via phone or web conference - we’ll uncover your current habits body, your body and soul goals, and your core strategies to reach them. Then, based on your unique desires and real life situation, we’ll help you define your plan, including the one habit that will make the biggest difference in the shortest time. If we can help you reach your goals, we’ll also let you know exactly how we can help you. During your session we'll uncover the vision of where you are steering your life next… and customize a plan with simple next steps. And don’t worry - this is not a sales call - it’s truly a complimentary session. We love helping people thrive. So claim your Complimentary Wellness Career Success Session now. Take action now - availability goes - FAST! We help you Evolve You with Ayurveda!